There’s a shiny new final disposition in town, attempting to gain ground on the green burial bandwagon: Resomation, developed in Scotland in 2007, also known as bio-cremation. Cremation is consistently flogged for its high energy consumption and resulting pollutants. 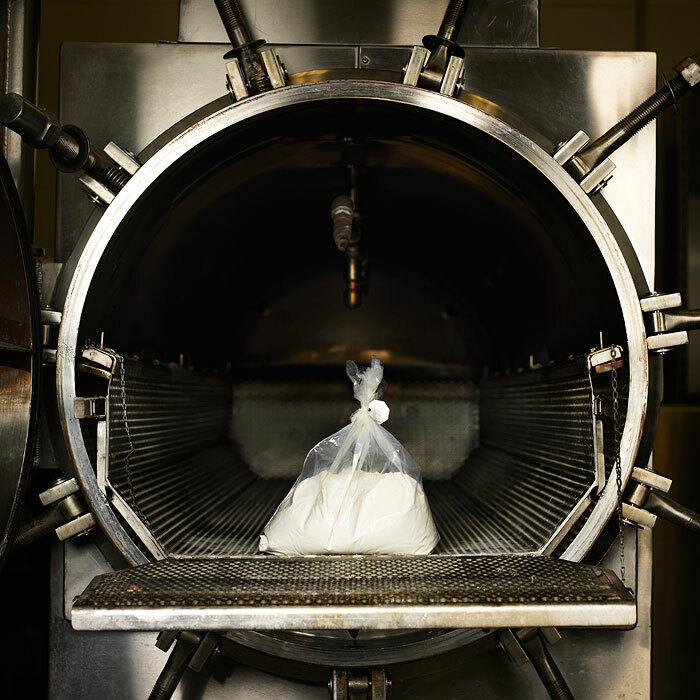 Bio-cremation, on the other hand, uses “less than a tenth of the amount of natural gas and a third of the electricity,” by means of a chemical process involving alkaline hydrolysis. This last bit seems to be the only real relation to cremation: loved ones receive a packet of bone fragments which people may bury, memorialize on the mantle, put into tattoos, shoot into space, fire into diamonds, et cetera. Fair enough, though just as arguably, cremation or burial are not respectful ways of treating the earth. Given the significant energy savings and pollution avoidance, environmentalism may very well prevail — plus, you can retrieve and recycle metal parts, like hip and knee replacements. I just hope they can settle on a name that isn’t obtuse, misleading or trademarked. Posted by Meg Holle in cremation, Eco-Death and tagged bio-cremation. Bookmark the permalink. ← Ambulance Chasing: Not Just for Lawyers! Ethicist Sr. Renée Mirkes, director of the Pope Paul VI Institute in Omaha, Neb., claims that once you get past “the yuck factor” it’s clear there’s nothing unethical or un-Catholic about alkaline hydrolysis. Cremation has been approved in most Catholic dioceses since the early 1960s. The old prohibition was based on the 18th-century custom of Masons choosing cremation as a way of denying the Resurrection and rejecting church teaching. But the church has always taught that God is perfectly capable of raising our bodies from dust, just as He created human beings from dust in the beginning. So long as there is no implication that the person choosing cremation is not denying the Resurrection, and assuming the remains from cremation are buried in consecrated ground, the church does not normally object to cremation. Mirkes believes the same logic should apply to the chemical equivalent of cremation.